Attention all those who entered the cheese club in the past year that cheese rocks has been open. If you have entered and not received any emails concluding your acceptance or denial, you may be entitled to financial compensation. JUST KIDDING!!!! But, you do have to reenter, since the old email I had it programmed it to send it to is no longer in use. Please reenter if the information above sounds like you. Sorry for the mix up! She won it, and it will be posted on the website soon.... say congrats! its her fifth or sixth win! SUPER SWIMMER WON!!!!!!!!!!! which is wierd because we didn't even see it........ but congrats!!!!!! Well Musiclvr has won the best story or whatever contest, for her story the violin virtuoso, it isn't finished but it's really good!!! Here it is!!! It was a chilly, starless night. A hooded figure appeared out of the darkness, carrying a basket. The basket, adorned with fake flowers and ribbons, could be an Easter basket, long faded away. But two things emphasized its difference: One, its largeness, and two, its apparent heaviness, as the figure was carrying it with both hands. She found a large, bright house that was quite alone, caged by the tall, forbidding hedges that surrounded it. Knocking on the door loudly, she jumped at the sudden sound in the menacing silence. Leaving the basket on the tarnished doorstep, she turned to go. Then she hesitated, a fleeting movement that hindered her escape. She fought the urge to look back, as she heard the doorknob turning. Hurrying away, she vanished into the darkness. She never looked back. Back at the house, the door opened. Light flooded out, banishing the shadows to the corners of the dark, empty street. Two cold, expressionless faces peered out. They stared at the basket. Then a long, bony hand snaked out and grabbed a letter resting on one of the blankets. Paper rustled as they read the letter, and then read it again. Then, almost inaudibly, they nodded to each other. Another hand reached out, this time to grab the basket. As it did, the baby inside woke up. But she didn’t cry. Instead, silent tears slid down her cheeks. She was unlike any other baby. But again, that was intended. Thirteen years later, the girl grew up. Her childhood was bleak, dull. She had a private tutor, a private cook, and a private nanny. Everything she needed, she had. But the one thing she yearned for, lusted for, craved for, she could not have. She loved music. She idolized composers, singers, and musicians of all kinds. She marveled at their ability to create, to play, and to enjoy. The silver moonlight shone across the peaceful town, like a beacon, lonely and silent. Always watching, always waiting. The city of Paris was a busy city; everyone going somewhere, everyone doing something. But this particular neighborhood was, unlike most, irregular. No trash littered the pavement. No graffiti covered the walls. And no people walked along the houses. Especially one, one that seemed to radiate a type of power that made you think that it was a type of leader. Light peeked out from the windows, giving a friendly, cheerful look, but the house itself had a sick, rotten, evil feeling. A feeling that you will dread – and an inkling that something bad will happen soon. On the upper floor of the house, a girl lay in her bed. She fingered a cross on a silver chain that was hung around her neck. Today had been her thirteenth birthday, and she had received her only heirloom. Unable to sleep, she began to think. Thinking was, actually, one of the best things to do when you couldn’t sleep. So the girl thought. She viewed her life like a timeline, dwelling on each and every moment. Then she thought of God, and of the one thing she yearned for. She decided to pray, to take a change. What do I have to lose? She asked herself. So she prayed. Dear God, let my name be known throughout the world. Let my music bring joy, peace, and happiness. Let my music be sown throughout the land like seeds in a field, like rays of a sun. Oh God, grant my wish – the only thing I have every wanted, and I will offer you my fairy, my trust, my love in return……………….. And with that she fell asleep, satisfied; a child pacified, a soul unburdened. Chaos won the most loyal fan contest for going on cheese rocks everyday, and doing contests, so congratulate her!!! If you win three contests you get your own page!!! Just put a comment under your second congrats page with your e-mail in the e-mail slot, you can tell us what you want on your page as long as we don't already have it, and it can't be innapropriate. Just aim for the contests and you might win, but anyone but chaos has some strict competition. Only available while room lasts!! Please don't just enter contests to win the page, enter for the congrats blog too! OMG!! We got 185 veiwers on april 28th!!!!!! OMG OMG OMG OMG OMG! !` Okay, okay, calm down Pepper. yeah, I can do this. yeah, I'm doing this. I officially declare may fourth a day of celebration. It will be called, day 185. Good name, right? Well, I need you to be more active than ever, do contests and stuff. We will add EVERYTHING!!!!!! okay then, have a nice day! On day 185 we will have a BIG suprise for all of us if we break our record and we will have new things, so be sure to join us on day 185! Then we might just have a day 254! Tell your frieneds! 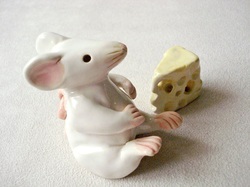 We will have a blog asnd everything, dont forget there will be new stuff on cheese rocks on day 185, so dont miss it! uuggh, lots of new contests! This time you make a representation of cheese, take a picture and e-mail it to us! Open to all people who can e-mail it to cheeserocks12.club@gmail.com. We will post all representations under submitted stuff and you guys will get to pick the winner! Just pick wich one you think is the best under the cheese blog in the newest blog, I hope we don't have just one person who enters, chaos! Chaos only has two more to go, then she gets her own page! Step up opposing cheese lovers, step up. It can be an picture, a sculpture, or anything really! GOOD LUCK!! This contest is for having the best story or song or whatever. E-mail it to us at cheeserocks12.club@gmail.com . It can be a peice of art, a song, a story, a joke, a website...... e-mail us if you have any questions on what you can send in.I HOPE SOMEONE BESIDES CHAOS ENTERS THIS ONE!!!! who can beat level fifty on smashing? who can do it?? Just e-mail us at cheeserocks12.club@gmail.com and if you are the first to win then you win the prize! WARNING: we will test you to make sure you won for real and didn't just fake it. Writermom won the who knows the most about cheese rocks!! Congratulate her guys!!!!!! Well, as promised here are some new contests. This is the most loyal fan contest, who win the most contests(Chaos) Who comments the most(Chaos) Who tells more people about cheese rocks(I'm not sure about that one) And really anything that could advertise cheese rocks! If we get google addsense which we proably will the winner will get a t-shirt that ssays their codename, what prixe they won, which CONTEST they won, and our website so other people can come! This may also be the prize for other contests so if you win another one and you wear the shirt it counts as advertising! Well, who's the most loyal fan? GET STARTED!!! Who can make the best cheese rocks flyer? Who ever wins will have their flyer on the home page and we might just make copies and hand them out! Thye will have your code name at the bottom so you will be recognized so who can make the best cheese rocks flyer!?!?! Get started!! She just won the april fools contest too! Chaos you dont only have competition, you have TOUGH competition! Her prank was actually her sisters friends but she sent it in. Her sisters friends in one class just got up from their seats and started signing I'm a little teapot! In front of the whole class!! Congratualte her on the congrats blog!! Who has the best video they can send us? It has to be from youtubbe or something like that, and if it is a video of yours it must come in file form, so e-mail it to us at cheeserocks12.club@gmail.com! If it is a video of your onwn your real name or face may not be shown in it. Thanks! Kelkel is our newest winner!!!! kelkel has just won the contest where you look at the pictures and find out what they are! The first one was a digital clock, and the second one was a shoe!! Congrats kelkel! Two more until you get your own page!!! Step it up Chaos, you have some competition!! Who ever wins ten contests not only gets free advertising spoace but they also get an e-mail saying congrats to them, another page, a certificate of awesomeness, AND if they are the first to win ten they get their own blog!!!! With watever they want on it!!! This is the best buritto, I've ever eaten, yum yum yum. uuggh. I guess this website isn't for the faint hearted. Chaos has won, yet again a contest. The submitter one. We need to think of a prize for if they win ten so people can get on the move again. Happy blogging everyone, congratulate Chaos. SOMEONE DO SOMETHING!!!! Say congrats to chaos, our second winner! Someone stop her, do you want to get your own page??? Then enter a contest, somebody besides chaos!!!!!! (One more to her free page!!!!) Please congratualate her on her second win!!!! Someone! Enter something!!!!!!! (Please congratulate chaos!!!) SECOND WIN!!!!!!!!!!!! CONGRATS CHAOS!!!!!!!! first box is code name, second is age. only if you have one! If not just say omg@omg.com. please please please comment on the site!!!!! We have some dedicated fans!!!!!! 110 viewers on march eighth, 2011!!!! 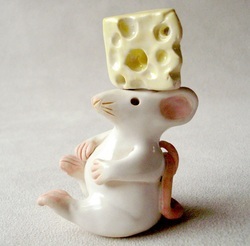 I officialy declare tomorow, march ninth, cheese day! Since apparantly we have such a broad audience there will be more contests, more videos, more everything! Send some in, just in time for cheese day!!! congrats cheese fans, congrats, mark your calendars!!!!!!! Tomorrow is an epic day, eat cheese and go to this site tomorrow to celebrate, respect the traditions!! Even bacon lovers should be happy on this epic day!!! Omg! We have a new winner! Say congratulations to chaos! for uploading six blogs in five hours yesterday, please go to the congrats page and cangratulate our winner, don't forget we still have another contest going! although I beleive people told their friends because yesterday we had 51 veiwers!!!! Keep up the good work and kudos to you chaos, you are our newest and first winner!!!! Hello! people of the cheese world. I know you are so interested in cheese you will be stuck in this site forever. Welcome to the world that was created by the ultimate Spice and Pepper. remember no negetive feedback! (and no bad words, we have the power to delete stuff!!!) you can also add pics!